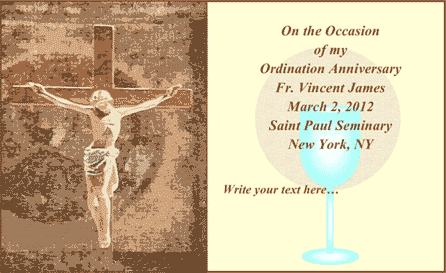 The crucifixion is depicted in this free, printable church holy card that celebrates the ordination anniversaries of priests. On one side Jesus hangs from the cross against a brown background. On the other is a space for the Father's name and the location where he attended seminary school.